I've really enjoyed the The Big Painting Challenge on BBC One. (I did love the one they did in Liverpool funnily enough). They've concentrated on different subjects, scenes and media - it's been quite an inspiring series. 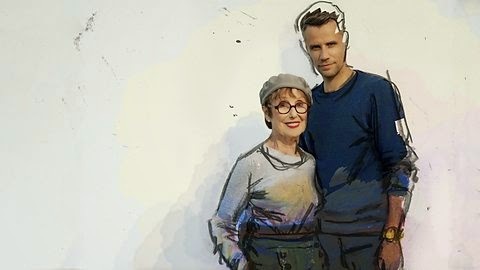 Richard Bacon and Una Stubbs were a curious pair aspresenters but I think they worked well together as noted on social media. The judges Daphne Todd and Lachlan Goudie were honest and constructive - not just harsh for the sake of it (looking at you singing talent shows). And well done to the Winner - Paul Bell. I'll be watching next year. Thank you for sticking with this blog! As you may be aware... I love fashion illustration and intend to do it a lot. 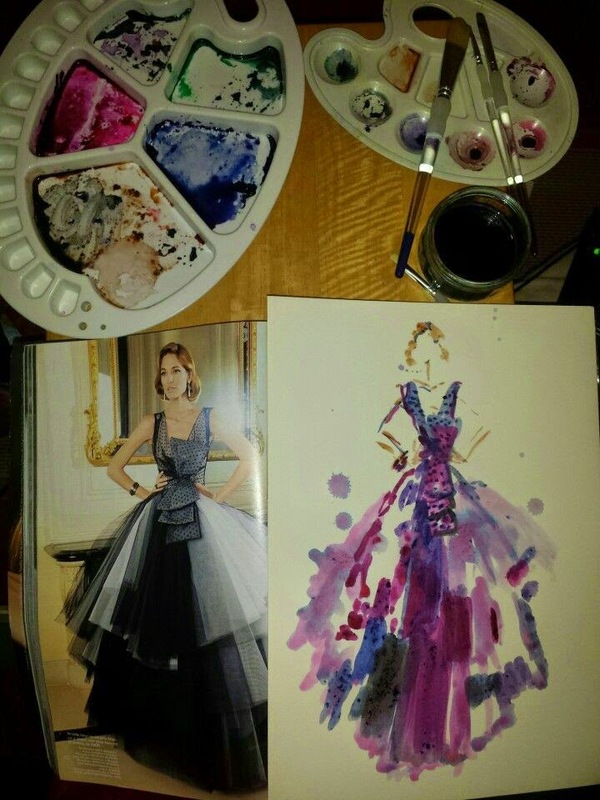 A few weeks ago I did a Dior dress painting in ink (below). Last year I don't think I would ever have explored doing fashion illustration with paint - probably would have stuck to markers and pencils - never mind painting in ink! I love the vibrancy, immediacy and risk of ink... it's a challenge. One thing I have been taught is to not paint in the colours as I obviously see them but to wonder and create. Using inks is something I'm really excited about. I bought my pack from Cass Art. I look forward to creating more. Artists, what are your views on ink and fashion illustration?